What’s cruised nearly every upscale neighborhood from Beverly Hills to Notting Hill and has transported Gwyneth’s Apple? How about the fact that Kate Middleton has one, as does Posh Spice. Nope, it’s not the newest Mercedes or Porsche SUV. We’re talking about a stroller. But not just any stroller: the Bugaboo line of strollers. A Bugaboo stroller is the chicest line of prams you’ve ever seen. Developed by Max Barenburg in 1994, the stroller was actually designed with dads in mind, not moms. Mobility and function were the two main drivers, as he’d seen too many examples of inefficient and clunky models. With higher functionality and a sleeker design comes a heftier price tag: Prices range from around $600 to over $1,000. So, if it’s fit for rock royalty (and actual royalty), it must be worth the hefty price tag, right? Let’s find out. While all of the models that Bugaboo produces are high quality and come with many bells and whistles, they’re actually probably not worth shelling out close to (or in most cases, more than) $1,000. The Cameleon might raise your status in the playground, but the adjustable suspension and easy folding ability can be found in other options from manufacturers such as Graco or BOB — and for more than half the price. Same goes for the all-terrain nature of the Buffalo. Although it’s definitely a top-of-the-line version, the City Mini by Baby Jogger ticks off many of the same boxes and it will set you back only around $250. With that said, if you have the extra cash to spare, you will be getting a superior stroller in terms of features. Again, are these features absolutely necessary when pushing your precious cargo? No. But are they nice to have? Absolutely. Kind of like a Mercedes or Porsche. 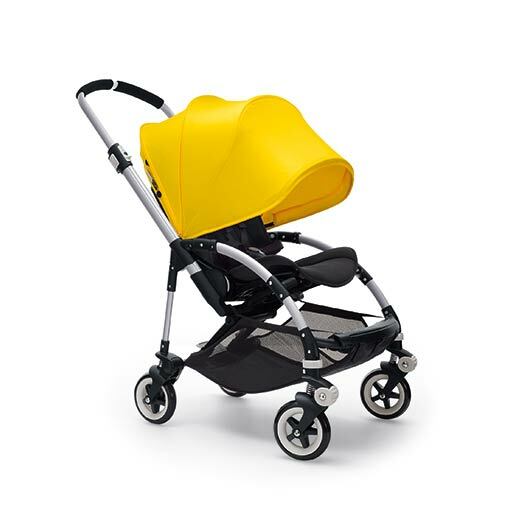 Image of Bugaboo Bee3 via Bugaboo.